ARTISTA/ARTIST:MARK ISHAM. 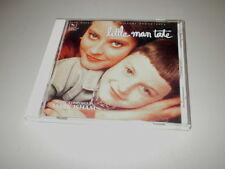 TITOLO/TITLE:LITTLE MAN TATE. ETICHETTA/LABEL:SLCS/VARESE SARABANDE RECORDS. OPZIONI/OPTIONS:COLONNA SONORA ORIGINALE/OST - MADE IN JAPAN - NO OBI. ANNO/YEAR: 1991. ARTISTA/ARTIST:PATRICK DOYLE. OPZIONI/OPTIONS:MADE IN JAPAN - INCL. OBI - COLONNA SONORA ORIGINALE/OST - FUORI CATALOGO/OUT OF PRINT. ETICHETTA/LABEL:SLC RECORDS (SLCS-7116). TITOLO/TITLE:DEAD AGAIN. ARTISTA/ARTIST: ARNO - PHILIP GLASS. OBI:NUOVO/NEW/SEALED/SIGILLATO. CONDIZIONI/CONDITIONS CD:NUOVO/NEW/SEALED/SIGILLATO. ARTISTA/ARTIST: THOMAS NEWMANN. Posso ritirare l'oggetto a mano ?. 0,50 cent per ogni oggetto aggiunto. ARTISTA/ARTIST:NICOLA PIOVANI. OPZIONI/OPTIONS:MADE IN JAPAN - INCL. OBI - COLONNA SONORA ORIGINALE/OST - FUORI CATALOGO/OUT OF PRINT - RARO/RARE. CONDIZIONI/CONDITIONS OBI:EX-/EX-. ETICHETTA/LABEL:SLC RECORDS (SLCS-7024). ARMANDO TROVAIOLI. 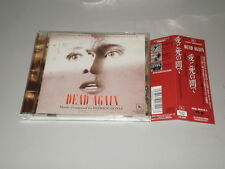 CD JAPAN 1997 KING RECORDS/SEVEN SEAS KICP 572. ARTISTA/ARTIST: LEONARD ROSENMAN. TITOLO/TITLE:ROBOCOP 2. TITOLO/TITLE: FREDDY'S DEAD The final Nightmare. ARTISTA/ARTIST: BRIAN MAY. TITOLO/TITLE:DRIVING MISS DAISY. Posso ritirare l'oggetto a mano ?. TITOLO/TITLE:HENRY & JUNE. OBI:NUOVO/NEW/SEALED/SIGILLATO. CONDIZIONI/CONDITIONS CD:NUOVO/NEW/SEALED/SIGILLATO. TITOLO/TITLE:PLANET OF THE APES. ARTISTA/ARTIST: JERRY GOLDSMITH. 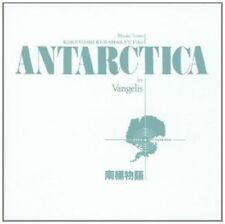 (CD JAPAN 2004 AVANZ RECORDS SP/CR 00013. LUIS ENRIQUEZ BACALOV. FANTASTICO BACALOV! ALL MUSIC COMPOSED, ARRANGED AND CONDUCTED BY L.E. BACALOV. NUOVO SIGILLATO /NEW FACTORY SEALED. 13) Caribo' Waves (02:58) from "L'ultima chance". TITOLO/TITLE:LAWRENCE OF ARABIA. OBI:NUOVO/NEW/SEALED/SIGILLATO. CONDIZIONI/CONDITIONS CD:NUOVO/NEW/SEALED/SIGILLATO. Shinjuku Mad. Recesso e Privacy. Condizioni di Vendita. DIRITTO DI RECESSO. (HIKARU HAYASHI. WORKS OF HIKARU HAYASHI. NUOVO SIGILLATO /NEW FACTORY SEALED. 04) NAMONAKU MAZUSHIKU UTSUKUSHIKU (HAPPINES OF US ALONE). 08) HAKUCHU NO TORIMA (VIOLENCE AT NOON. 07) KOI NO NATSU. JAPANESE CINEMA MUSIC SERIES. Tenebre (Reprise). Tenebre (Alternate Film Version). Lesbo (Film Version). Slow Circus (Film Version Suite). Gemini (Alternate Film Version Suite). 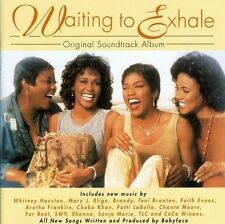 Flashing (Intro Film Version). Gemini (Film Version Suite). TITOLO/TITLE:GREMLINS 2 - THE NEW BATCH. ARTISTA/ARTIST: JERRY GOLDSMITH. ARTISTA/ARTIST: MAURICE JARRE. TITOLO/TITLE:THE WITNESS. OPZIONI/OPTIONS:MADE IN JAPAN -INCL. OBI - FUORI CATALOGO/OUT OF PRINT - RARO/RARE. OPZIONI/OPTIONS:MADE IN JAPAN - INCL. OBI - COLONNE SONORE ORIGINALI/OST - FUORI CATALOGO/OUT OF PRINT - INCL. FAMILY OLT, STRANGERS ON A TRAIN, SUSPICION & NOTORIOUS. 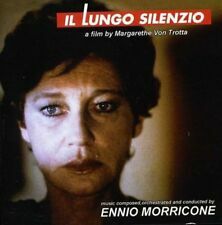 CONDIZIONI/CONDITIONS OBI:NUOVO/NEW/SEALED/SIGILLATO. TITOLO/TITLE:ROSELYNE ET LES LIONS. ARTISTA/ARTIST: REINHARDT WAGNER. TITOLO/TITLE:GREEN CARD. Posso ritirare l'oggetto a mano ?. Descendants of. Recesso e Privacy. Condizioni di Vendita. DIRITTO DI RECESSO. Produttore: King. Colonna Sonora Originale Del Film SUSPIRIA Un Film Di Dario Argento. 1 Suspiria 6:00. 8 Suspiria (Celesta & Bells) 1:34. 9 Suspiria (Narration) 1:48. 10 Suspiria (Intro) 0:32. 12 Suspiria (Alternate Take) 3:50. Release Date (Data di uscita): 22 Dec 2017 (22 dicembre 2017). Format: CD. 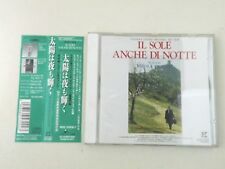 OST-DISCENDENTI DEL SUN-JAPAN 2 CD DVD BOOK J50. Artist OST. GIAPPONE CD DVD LIBRO. 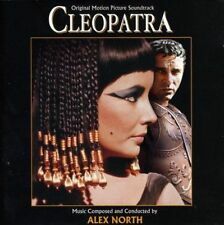 AUDIO CD DVD (REGIONE 2). Country/Region of Manufacture Japan. Special Attributes DVD,BOOK. difficile trovare dischi e nuovo Giappone CD.